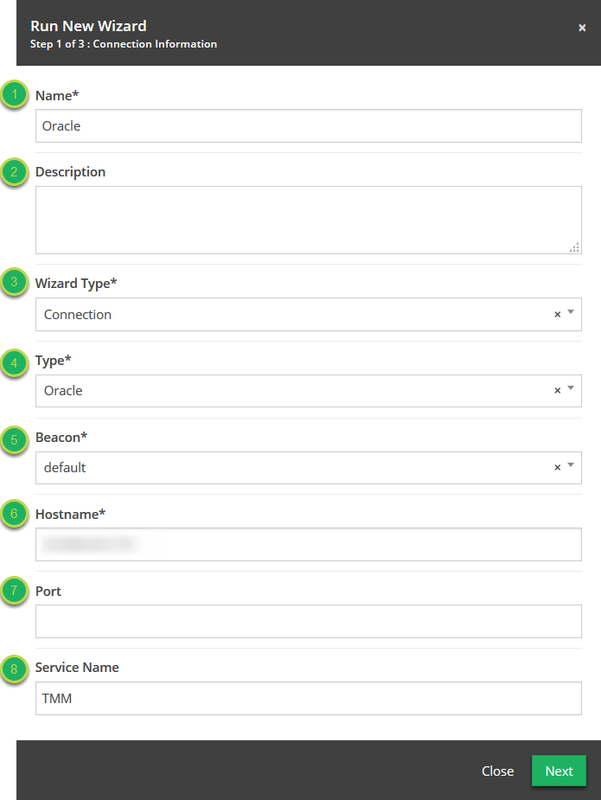 Documentation and SupportReleases Mango Release Notes 2016-11-12Oracle Export Connector Now Available. 1. Navigate to the Wizards menu. 2. 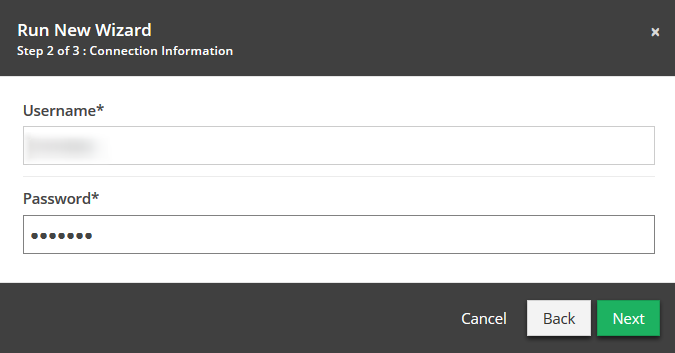 Choose Oracle from the Type drop down and enter the information. Anything that would help you further identify the use of this wizard can be entered here. This is a list of all connectors available. For this case, we'll be using Oracle. What beacon will this connector run on. What host are you connecting to. The port number the connection will be using. If let blank it will default to 1575. The name of the service. This can be left blank. 3. 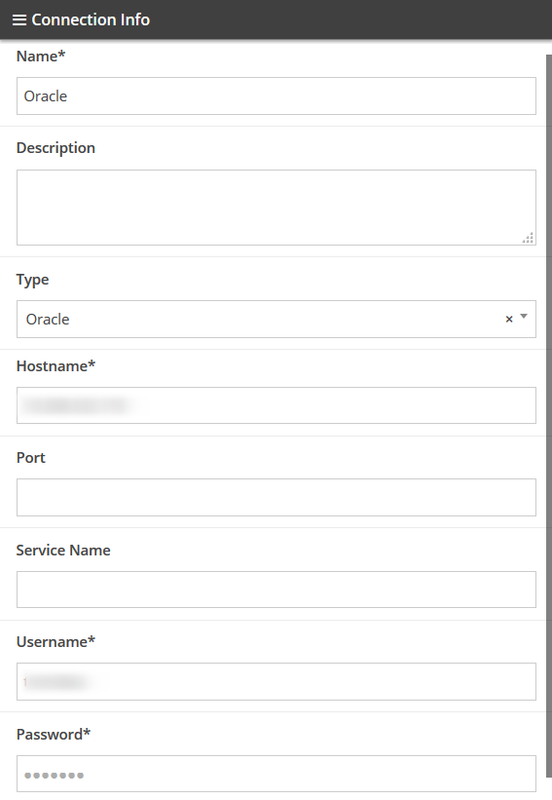 Enter the Oracle username and password. 4. Connection is successful and valid. 5. The connection has been created. Prev: Excel365 Connector Now Available. Next: Dropbox Export Connector Now Available.